An order can be canceled up until it enters production. Once an order status is listed as "In Production", it means that the order is currently being produced and can no longer be canceled. 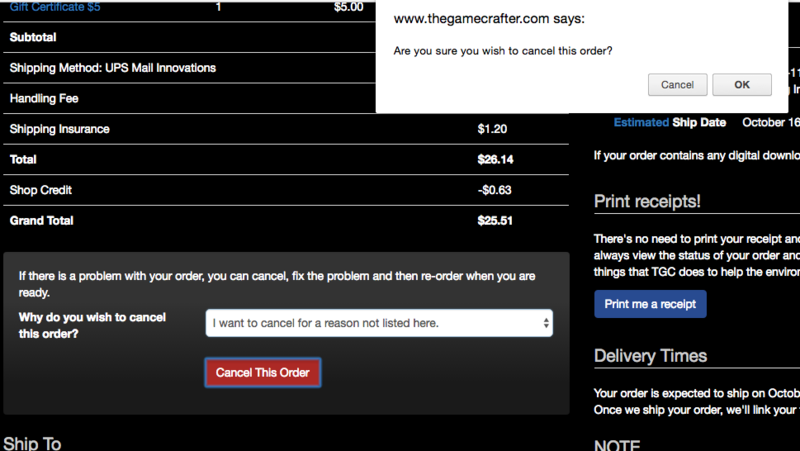 When your order is canceled, you'll receive a refund via either in-shop credit, or to your credit card for the total. In-shop credits will be automatically deducted at checkout when you place a new order.